Lunch Lessons LLC, co-owned by Chefs Ann Cooper and Beth Collins, brings a uniquely qualified team to projects spanning food systems, culinary, finance and business services and school district administration experience. Ann and Beth have worked together for over 17 years, bringing their private sector backgrounds in business and food to the school food arena. Their hands-on experience in school district transition brings to their assessments the distinct experience of having “been there” through the challenges presented as districts and community partners consider large scale school food system change. This lens of experience allows for a realistic understanding of the complex relationships that exist in school districts and what kinds of goals and results are realistic, given the unique conditions of each district. Having guided over 50 districts in systemic change, training a network of school food specialists, and working with many organizations focused on this work places Lunch Lessons at the forefront of school food innovation in the United States. Our approach is assessment based, gathering a combination of data analysis, interviews and observation. This data from the assessment creates the building blocks. It clearly defines the current state of a district and helps to identify areas of opportunity. The outcome of the analysis provides “next steps” for the district and becomes the cornerstone for strategic planning to address the desired outcomes. Our philosophy is that no two districts are exactly alike, but all food service operations share similar systems. Because of our years of on-the-ground operational experience paired with detailed knowledge of school food service operations we can deliver a strategic plan to meet any district’s needs. But the real key to success is simple question, yet not always easy to answer – Are they ready? Readiness is not a defined condition that we can measure, but there are indicators to determine if a district is a realistic candidate for change. We can change the food, but we cannot guarantee if the district and its community is “ready” to accept it. Who is ready; the school board, parents, students, administration, staff? Whose vision is driving change? Chef Ann Cooper is an internationally recognized author, chef, educator, public speaker, and advocate of healthy food for all children. In a nation where kids are born with shorter estimated life expectancies than their parents due to diet-related disease, Chef Ann has been a constant champion of school food reform as an important avenue through which to improve childhood nutrition. In 2009, Chef Ann founded the Food Family Farming Foundation (now the Chef Ann Foundation), a nonprofit organization that is dedicated to helping schools take action so that every child has daily access to fresh, healthy food. CAF programs include Let’s Move Salad Bars to Schools, Project Produce, Parent Advocacy Initiative, Healthy Breakfast for Kids, as well as The Lunch Box, an online resource that provides free step-by-step guides, tools, and recipes to help schools improve their food programs. Also known as the “Renegade Lunch Lady,“ Chef Ann serves as Director of Food Services for Boulder Valley School District in Boulder, Colorado, and is Partner of Lunch Lessons, LLC, a consultancy for school districts going through large-scale food change. She also writes a monthly blog for U.S. News & World Report and performs regular Speaking Engagements throughout the country. Visit our Multimedia Content page to view some of Ann’s notable lectures, including her four TED Talks. 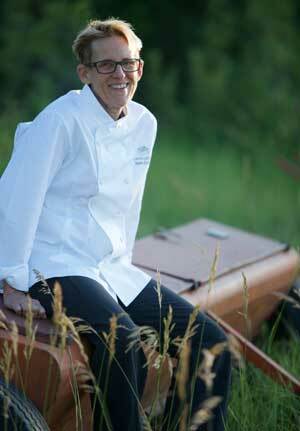 Chef Ann has also been honored by the National Resources Defense Council, awarded an honorary doctorate from SUNY Cobleskill for her work on sustainable agriculture, and received IACP’s 2012 Humanitarian of the Year award. Named one of the “Influential 20” by Food Service Director Magazine and one of the top 15 Crusaders for Health in the Food Industry by Greatist.com, Ann has also received the Women Chefs and Restaurateurs’ Community Service Award and a Special Inspirational Award from the Susan B. Komen Foundation. In 2016, she was named “One of the Top 50 Food Activists” by the Academy of Culinary Nutrition. Chef Beth Collins has been supporting school district change through assessments, workshops, interim leadership roles since 2006. Driven by a passion for local foods and a strong interest in food system change, Beth started her culinary career in New York City in 1995, learning her craft from Chefs Lidia Bastianich and Michel Nishan before heading to East Hampton, NY in 2000 to feed students simply prepared, fresh, locally grown food at the Ross School with Chef Ann Cooper. Their shared experience at the Ross School led Beth and Ann into the public sector where they have worked to support public school districts in transitioning ready-to-heat food programs to sustainable scratch-cooked systems bringing fresh, real food to all kids in schools. Beth and Ann extended their commitment to improving school food in 2009 by establishing the establishment of the Chef Ann Foundation,formerly known as Food Family Farming Foundation and its programs; the Lunch Box, Let’s Move Salad Bars to Schools, Project Produce and its newest program, School Food Support Initiative. 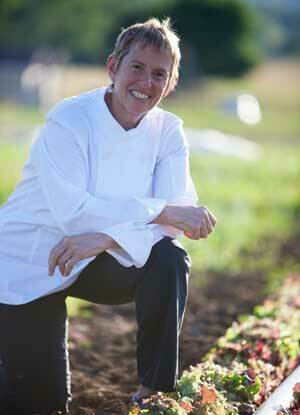 Beth, along with Chef Ann, is the lead developer of The Lunch Box. She served as CAF’s executive director from 2010 to 2013 and CAF’s director of operations until 2017. Beth works with districts and organizations from coast to coast from her home base in Traverse City, Michigan.